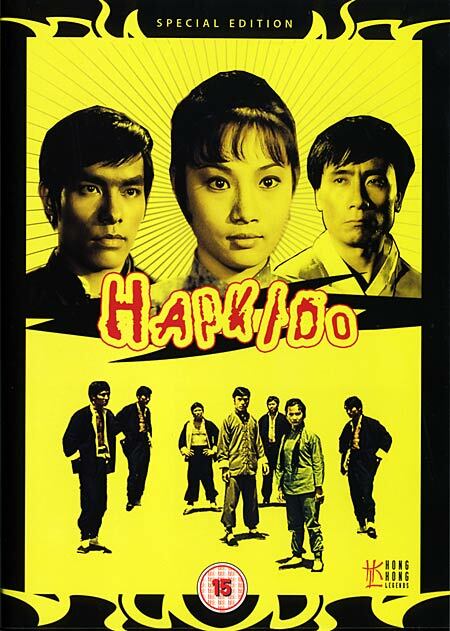 In our month of films based on the art of throwing people about , we have a look at the 1972 classic ''HAPKIDO'' . 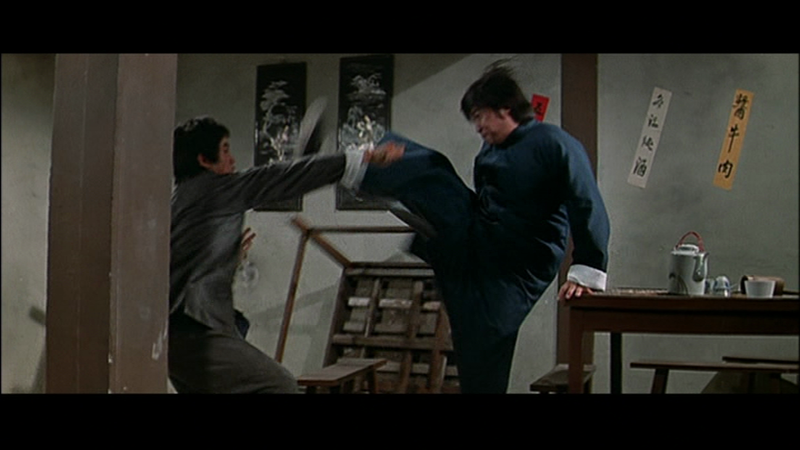 Made at a time when Bruce Lee had made ''Fist of Fury'' and ''Way of the Dragon'' ,viewers expected a lot of kick for their money ,and being from Golden Harvest and Director Huang Feng viewers got exactly what they wanted with a cast which included Golden Girl Angela Mao Ying ,Sammo Hung and Carter Wong in the main leads. But hey Golden Harvest did not stop there add to these top flight stars a supporting cast which had Wong In Sik and Ji Han Jae plus cameos by the likes of at the time top flight stunt people which had Lam Ching Ying, Jackie Chan,Yuen Biao, Corey Yuen and Billy Chan.. 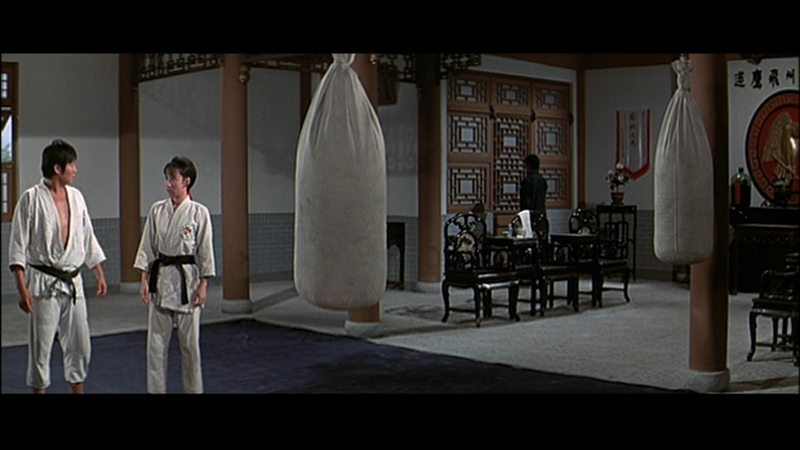 The story is set at a similar time to Fist of Fury ,may be a bit later on . The Japanese have imposed Imperial rule on Korea and started to do the same in Manchuria , it would not be long before the rest of China would fall under there invasion. The story follows three friends ( Angela,Sammo,Carter) Who are in Korea and been there for five years learning the art of Hapkido . When they are insulted in a Park in Korea by some Japanese Fan Wei ( Sammo) attacks them making it dangerous for them to stay in Korea. After a test at the Hapkido Dojang our three Chinese friends are told to return to China as Korea is under strict Japanese rule . Their goal is to set up a Hapkido School in their home town . They are given their Hapkido Suits which have been decorated with a large Eagle to signify their new found school of Eagle Hapkido. Instructed by their teacher to Forebear the hardships that may come their way before going to far. Back in China the three set up their school and go and visit local Martial art schools to pay respects and introduce them selves . 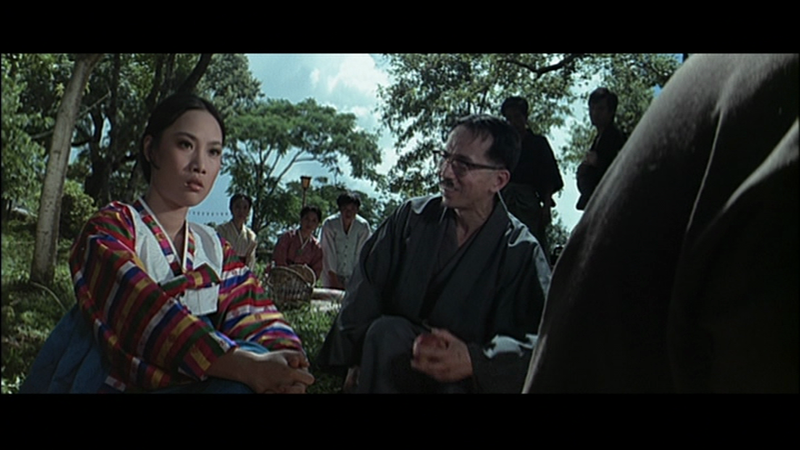 One teacher tells Kao Chang ( Carter Wong) that he should visit the Japanese Run Black Bear martial arts school as it may cause trouble if they don't. Thing is Fan Wei who has just acquainted another teacher from another school have just got into a fight with some Thugs from the Black Bear school and beaten one quite severely. Back at the school Yu Ying ,Kao Chang and Fan Wei are going through their routines with a couple of new disciples when a group walk in to cause trouble ,being that the school also has a clinic for illnesses ,one of the men complain of Hair ache ,Fan Wei soon puts a stop to this by ripping out his hair with his hand. 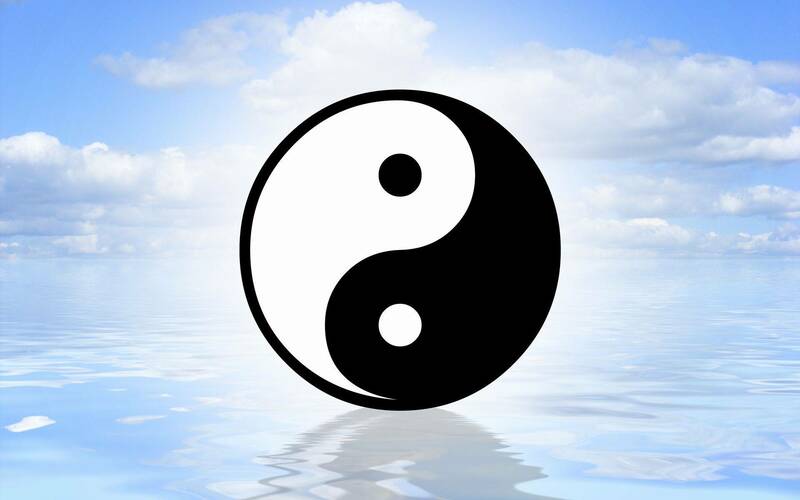 Realizing that this trouble has stemmed from something Kao and Ying ask Fan Wei If he knows anything, Wei replies that he had beaten them up for causing trouble and that they where from the Black Bear Martial arts school. Ying asks if Kao had been here and he replies No. They decide to visit the school to see if they can put a stop to the trouble. You know that a battle will ensue as the Japanese will not back down if they do not get their way ,it's always the way in these films . Now this is one film that all fans must see. As things get quite desperate within the film ,the Japanese want Wei handed to them or they will attack the school ,this is all relayed to them by the Black Bear representative played by the same guy who was the interpretor for the Japanese in Fist of Fury, Paul Wei. This adds a level of emotion to the scenes as Paul Wei's portrayal as Wu in Fist of Fury was slimy and creepy and he gives the same performance here ( How I love to hate this man , well his character anyway ) . 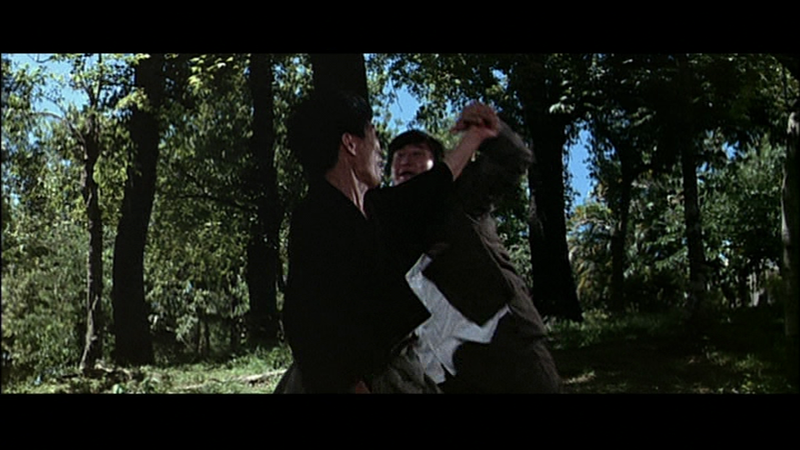 Things go from bad to worse in the film with scenes of a woman being tormented by the Thugs of Black Bear ,one pours boiling water over her head ,this is a scene which sees Fan Wei go into full fury as he unleashes his Hapkido on the bullish thugs. Of course this makes matters even worse . 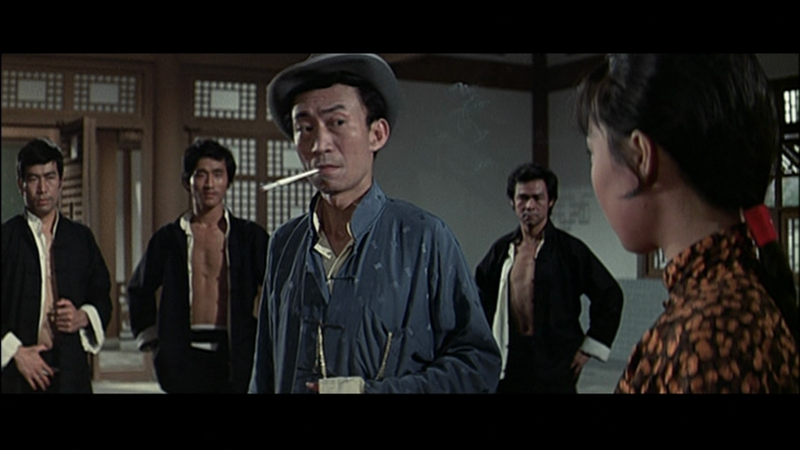 Poor old Kao Chang who is visiting the Japanese is in a situation where he must fight to escape their school. 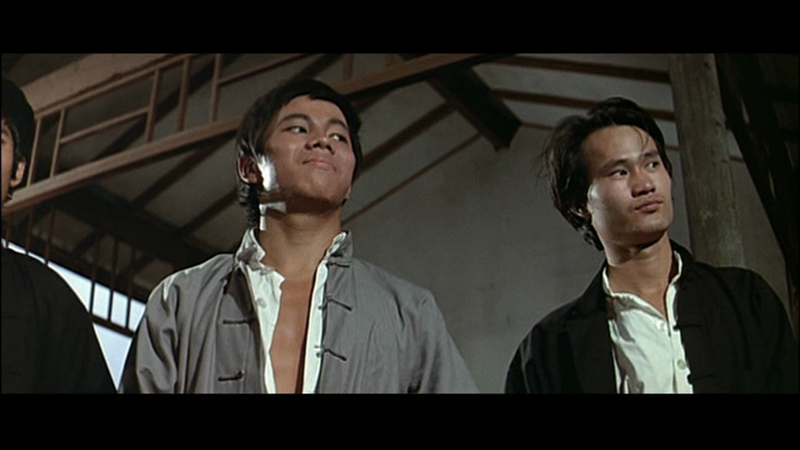 With Kao Chang coming off poorly in his battle he is bed ridden for a while ,Fan Wei who is wanted more so now goes into hiding with the help of a fellow friend and student of another school. 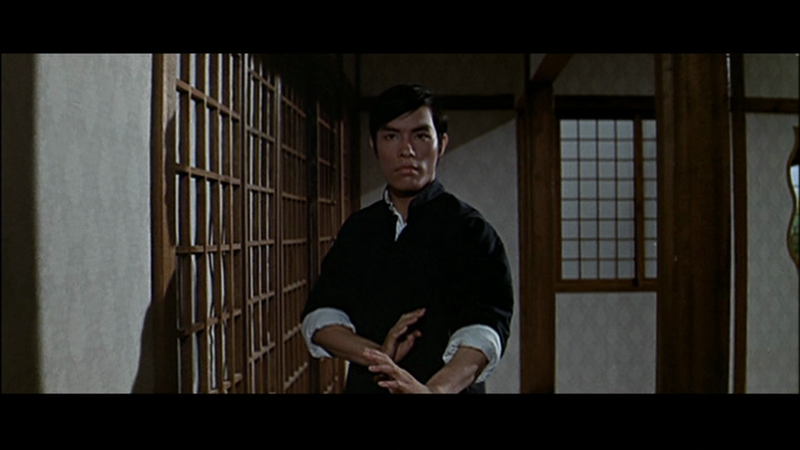 In the film the Japanese refer to HAPKIDO as being set up as a organization to rebel against the Japanese ( was it? I don't know) .The Japanese want the whole Hapkido style wiped out ,that is until they witness Ying's ferocity with the art ,then they think they can amalgamate Hapkido within their own club and Our intrepid trio are not having it. The action in Hapkido comes thick and fast in 90 minutes of viewing you get a massive helping of top class fighting ,and though the story may suffer at stages because of this it does not bother you so much , as all you care about is how they are going to dispatch the Japanese invaders. Each of our trio has their own time on screen ,giving a viewpoint from each characters part. Some revelations are are shocking ,resulting in the viewer wanting as much revenge as the on screen heroes of the film. 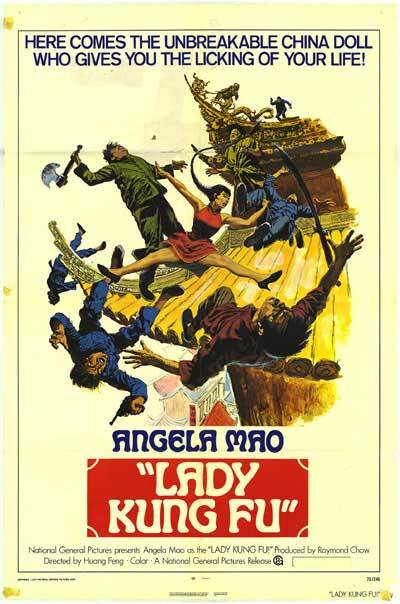 Authentically both Angela and Sammo had been to Korea to study Hapkido and gained Black belts in the art for a prequel to this film the tentatively ''Lady Whirlwind'' aka ''DEEP Thrust'' . 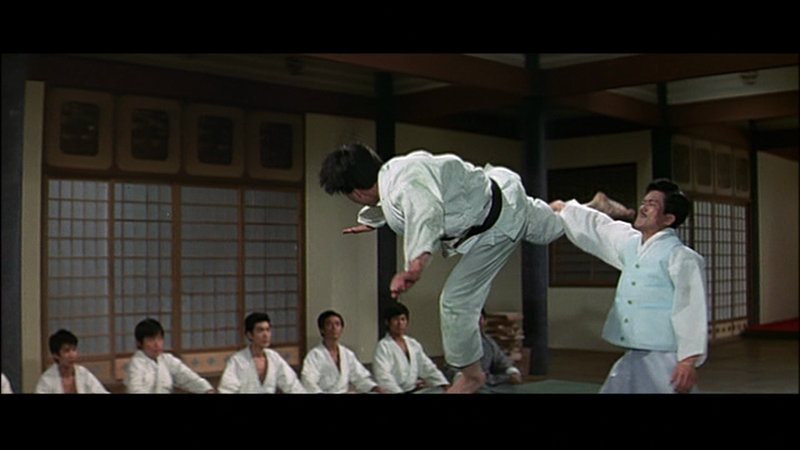 Both these films show Hapkido in fine form.. 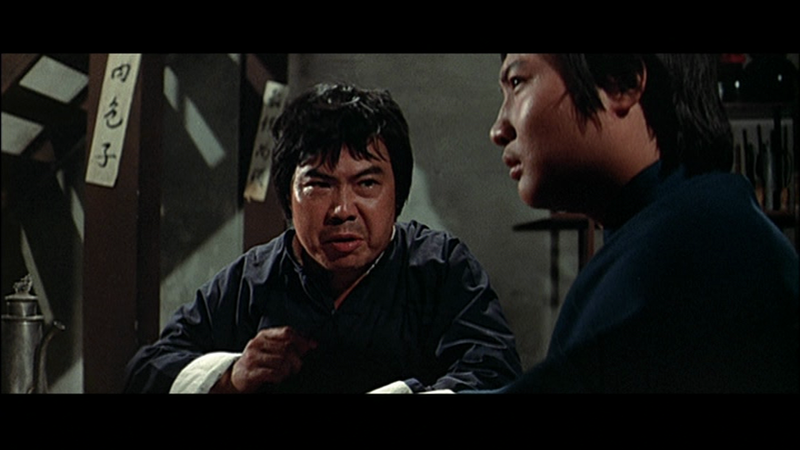 But the stories have no connections so you don't have to see one before the other ,so to speak, Sammo actually plays a baddie in the first film . 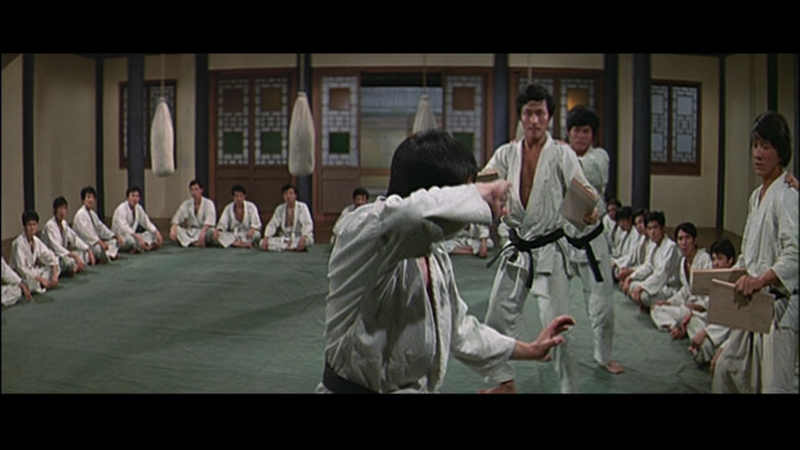 There are quite a few stand out scenes in Hapkido which will stick with you. Like the scene when the trio's teacher gives them their Suits and then hands Ying A Hapkido Justice rod ( Basically a hulking piece of metal ,highly polished and inscribed.) , she later in the film shows this Rod to a traitor of the Korean people then sets about beating the hell out of him with it. 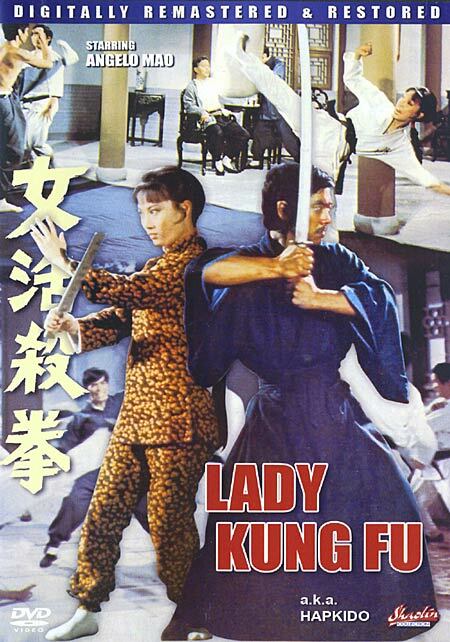 For me Hapkido just has the edge over ''Lady Whirlwind '' due more to the production values. 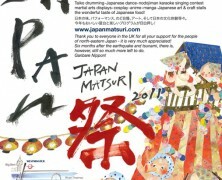 (it looks more polished over all) even though they were made within a year of each-other or less. 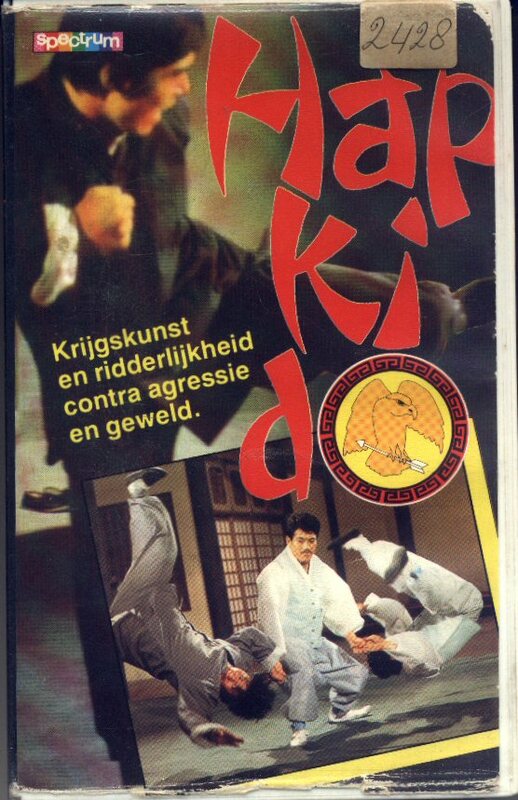 So if you want to see authentic Hapkido in a film ,which is a combination of the kicking Of Taekwondo put together with Akido type locks and throws then this is your film . Bandit Alert - The Great Late Lam Ching Ying on the left. The Brilliant Paul Wei - always the slimy go between. 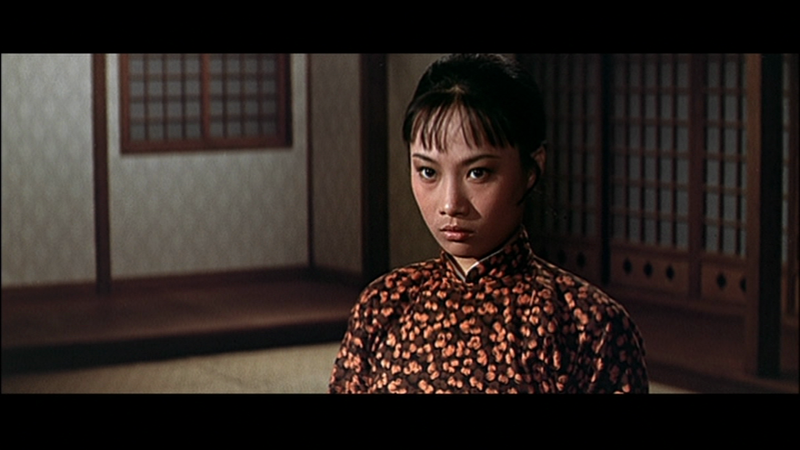 Angela Mao with the cold hard stare -watch out now.